Pink Henna Broderie Cuff Long Sleeve Top is rated 5.0 out of 5 by 1. 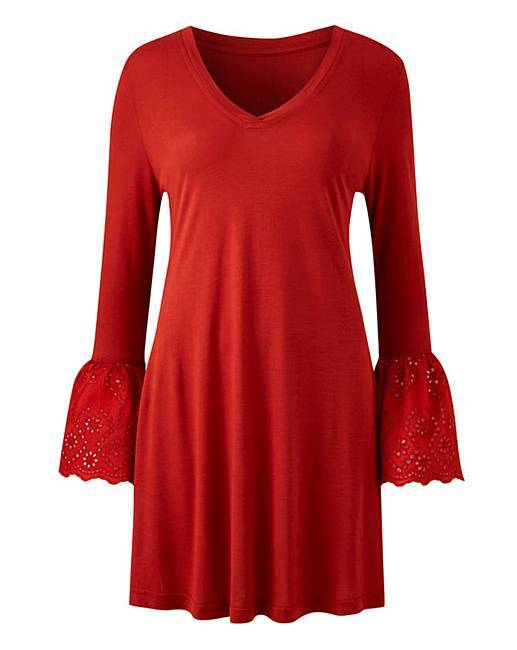 Update your wardrobe with this round neck, Broderie cuff long sleeve top. This gorgeous top is perfect for any occasion, having the versatility to be dressed up or down. Rated 5 out of 5 by justme from Lovely top Bought this in white and in navy. Really pleased with both. Good fit and longer length is good too. The sleeves give it that bit extra so it can be dressed up. But also good for casual wear.